Size: about 3/4 to 1 inch in size. Rhodonite helps us in the forgiveness department. It is helpful in bringing about reconciliation between those who have been regularly hurting each other for some time. Grounds emotional flights into earthplane reality. Helps to see real from wishful thinking in relationships. Aids in seeing one's current flame as a real person. Promotes maturity in love affairs and relationships, assists us in telling the real from the fantasy in matters of love. Rhodonite has a Triclinic crystal system and is the mineral class of chain silicates. While rarely formed in a primary manner from hydrothermal solutions at low temperatures, generally it comes to be by regional metamorphosis of sedimentary manganese ore deposits. The result forms large pink colored masses that can be partially oxidized through weathering (the black streaks and spots). Rhodonite can be worn near the heart for healing emotional injuries. Daily meditation in a Rhodonite stone circle can also have a strong, positive spiritual and mental effect. Rhodonite helps us in the forgiveness department. It is helpful in bringing about reconciliation between those who have been regularly hurting each other for some time. It is also helpful in guiding us to see that strife is many times caused by a lack of self-love, and not necessarily the misdeed of another. Mutual understanding can be facilitated and then we are helped to solve conflicts in a constructive, rather than hurtful manner. This one can also stimulate learning at the spiritual level bringing a higher level of spiritual maturity. Rhodonite helps to heal old wounds and scars of the emotional type. We become able to forgive harms received and are freed from the mental pain and festering anger. It is sort of emotional first aid and should be used immediately when feeling wronged to remove the fear and confusion and get to the heart of what it was that bugged or hurt you. 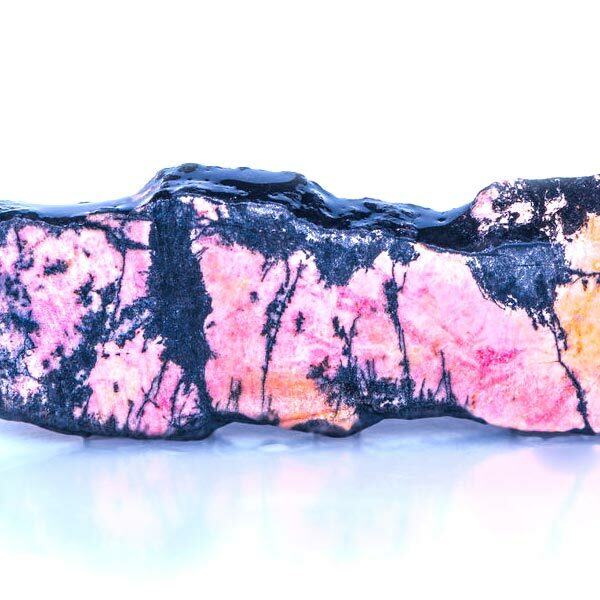 Rhodonite enables us to be clear and conscious even in the middle of extreme situations. It provides us the understanding that revenge is mainly a self-destructive effort, and helps us to calmly deal with insults or provocations calmly and with a level head. It also assists us in the understanding that there is meaning, or gain, from every experience. Even with those experiences that are not pleasant, it can provide the calm thinking to show us the way out of what seem to be a hopeless situation. Rhodonite is reputed to be one of the best wound healing stones of all. While I have not had the occasion to test this for myself, it has been reported to heal small cuts in minutes. It seems it eliminates toxins from the tissue, and then makes sure that healthy tissue is formed during healing and that no scar results. It is also reputed to heal scars already formed. Above all, common sense should always come first. If it's a deep wound, call 911, then use the stone. 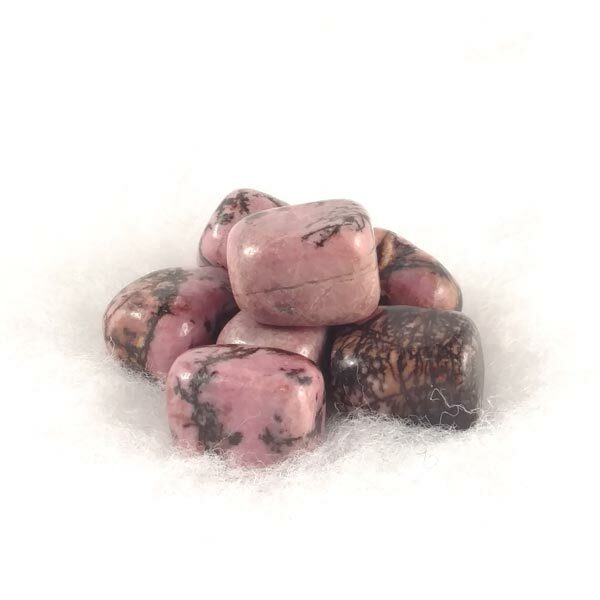 Rhodonite also strengthens the heart and circulation and can encourage fertility in both sexes. Rhodonite benefits all signs. It has a Projective Energy, it's Element is Fire and its Planet is Mars. Rhodonite has been used to promote balance by magicians, Shaman and by Wiccans. Its name, from the Greek rhodon meaning rose, has been in place for about 200 years which may account for the lack of older tales about its abilities.